My 8 Best Holiday Shopping Tips! As the holidays approach, we are all looking for ways to shop smarter, and this year is no exception for me. Although I’m quite organized about my Christmas shopping, each year I try to be even more efficient. Admittedly, I shop for the holidays all year round. It just makes sense to buy that perfect gift for someone on your list, anytime you see it. Most of us have gift closets for that very reason! But, have you ever sat down and planned out how you’re going to shop better and differently? Well, I did that recently, and wanted to share my smart holiday shopping tips with you! I know this is the most obvious tip, but let’s be more detailed about it. Of course, you’re going to write down your family and friends as well as your doctor or kids’ teachers, and then you’re going to write the gift you want to buy for each of them. Make sure you include a bunch of ‘extra’ gifts to have as backup. 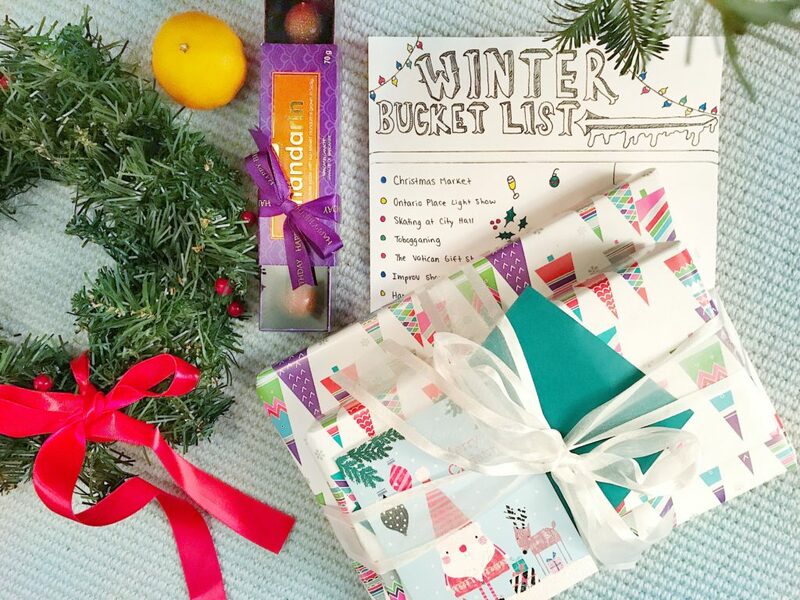 These include generic gifts like boxes of chocolate, a pretty diary, Starbucks gift cards, and bottles of wine. 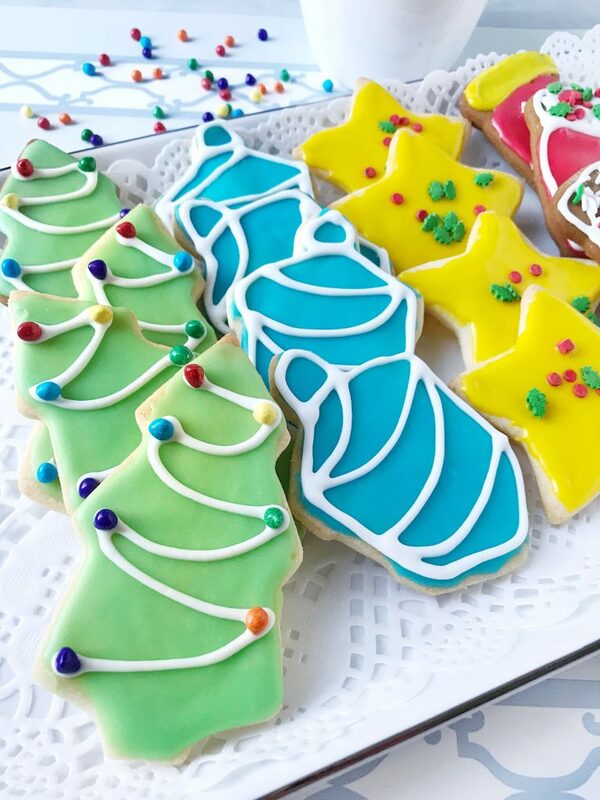 These are for when you’re invited last minute or when you’ve forgotten to add someone to your list. Consult online guides for ideas and consider asking the recipient what they want. Although it’s fun to get a few surprises, I find it more practical to ask people what they would like as a gift. It makes life a lot easier and less wasteful for everyone. As a food and lifestyle blogger, I love receiving gifts that are themed around entertaining and spending time in my kitchen. 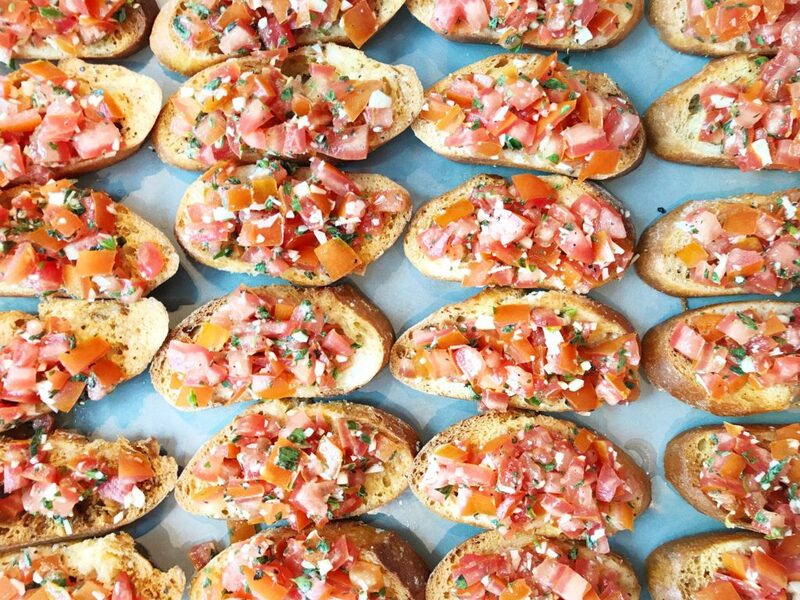 And, I think people who like to be around food always appreciate getting something new to use. 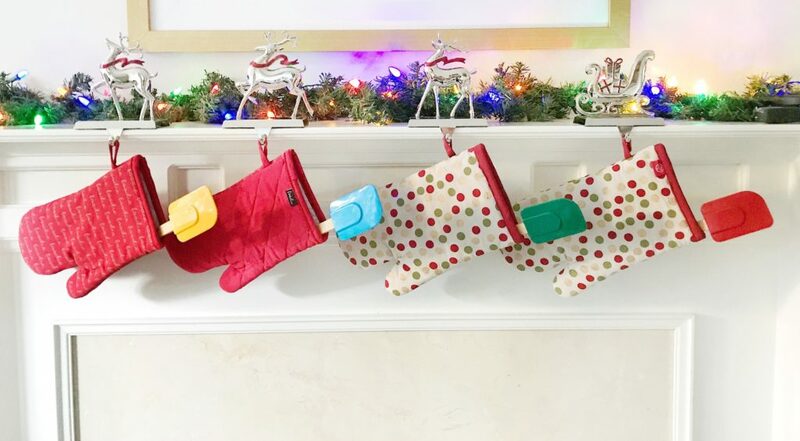 Here are 7 practical stocking stuffer ideas, for the foodie, cook, baker, and general kitchen enthusiast in your life! As we approach the darkest days of the year, celebrating Hanukkah is one of the most anticipated events in the Jewish calendar. Hanukkah is an 8-day holiday observed in November or December, depending on the Hebrew lunar calendar. This year it begins on the evening of December 2nd. Often referred to as the ‘festival of lights’, Hanukkah refers to the rededication of the Holy Temple after the Maccabees defeated their Greek-Syrian oppressors. When the Jews went to light the menorah, or candelabra, oil that should’ve lasted for one day burned for eight. Hanukkah is celebrated in as many ways as there are family traditions, but almost all Hanukkah party celebrations include lighting the menorah, playing dreidel, singing songs, opening gifts; and, eating latkes, gelt, and sufganiyot. I only started making latkes when my kids came home from school one day raving about the latkes a mom had made in their classroom. 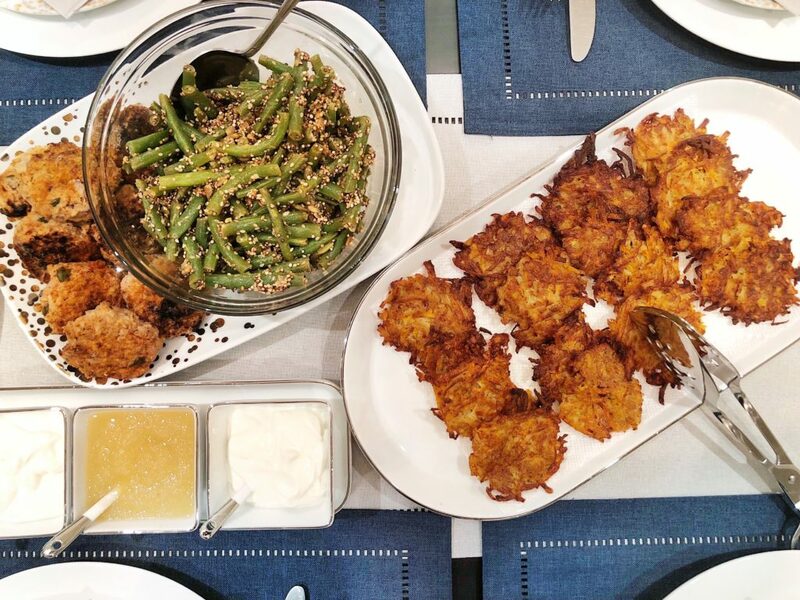 Since then, my family looks forward to the one or two days when I go all out making latkes: they like to invite friends over to enjoy the party! 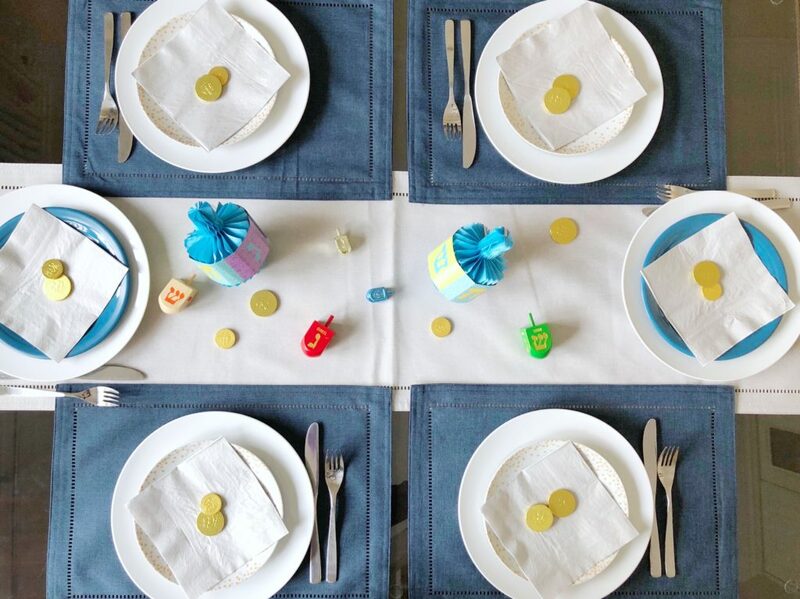 Tip 1: Use any variation of blue, white, grey, silver, and gold linens and platters that you have. The Best Homemade Potato Latkes! 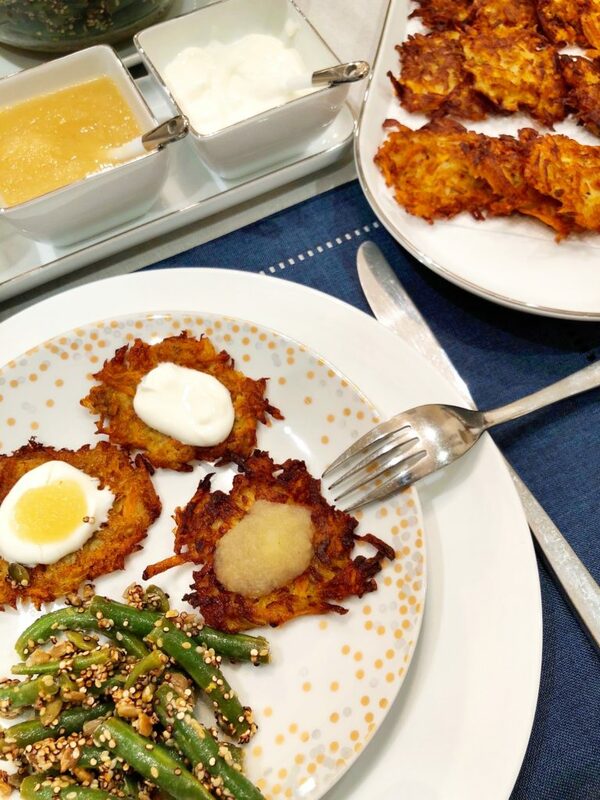 I’ve been hooked on making homemade latkes ever since my kids introduced me to these delicious potato pancakes years ago! My kids came home one day, raving about the latkes a mom had made in the classroom to celebrate Hanukkah. I just had to learn how to make these potato latkes, and I’m so glad I did. 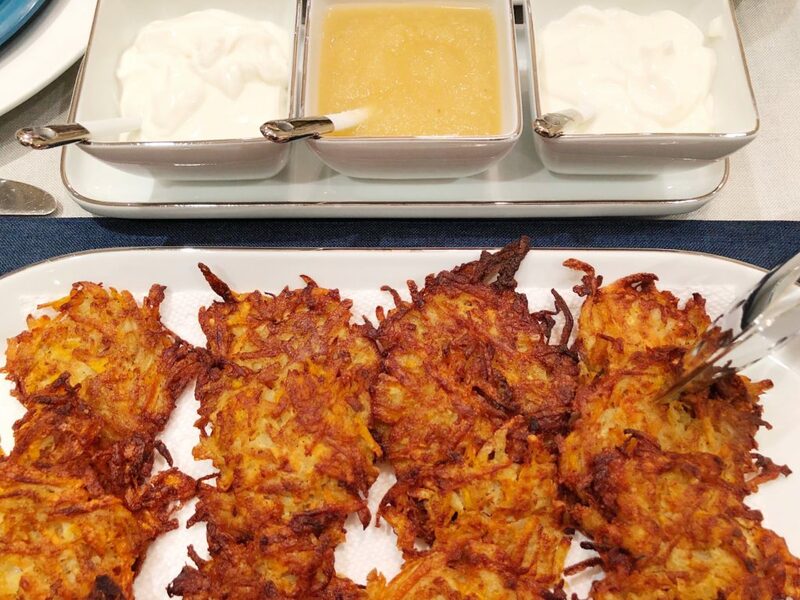 Latkes are the star of any Hanukkah celebration because they are fried in oil. Hanukkah is an eight day Jewish celebration that commemorates the re-dedication of the Holy Temple after the Maccabees defeated their Greek-Syrian oppressors. Oil in the menorah lasted for eight days instead of one, which is why oily foods are eaten during this holiday. 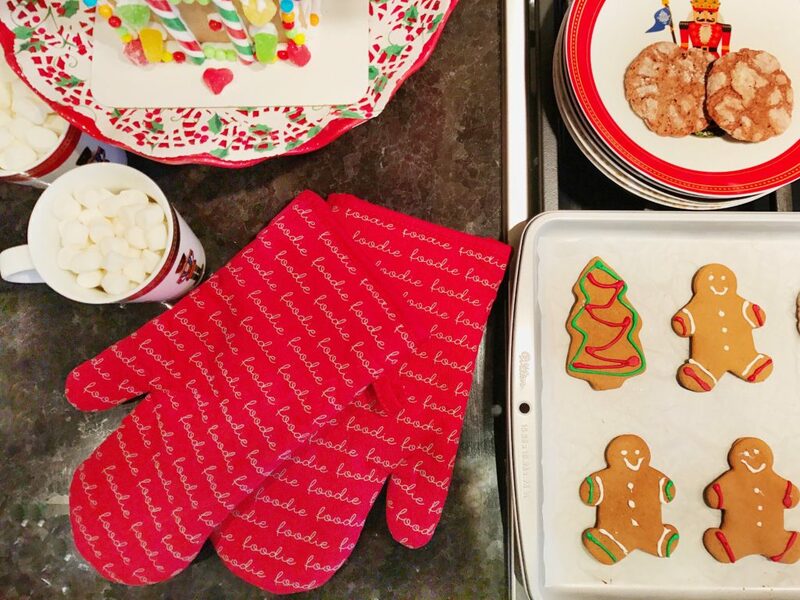 Get Your Kitchen Christmas-Ready With These 7 Festive Pieces! 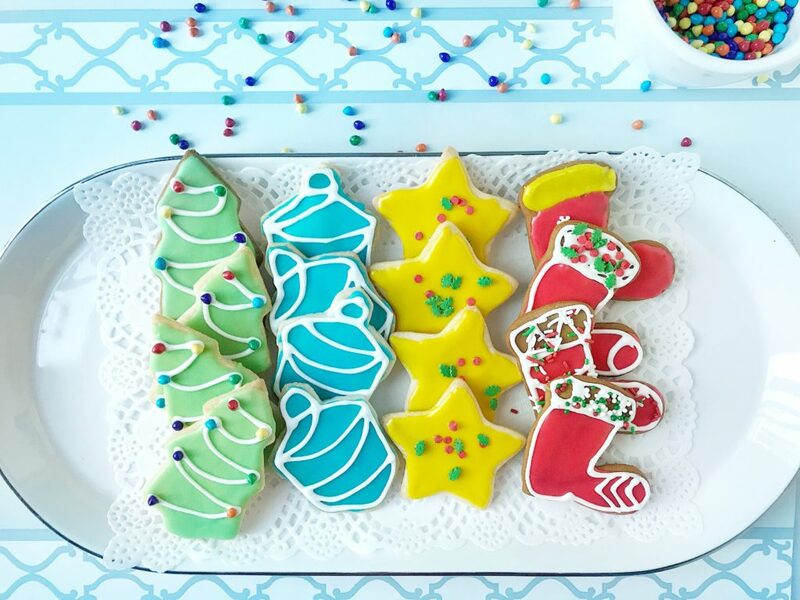 It’s time to get ready for Christmas and the best place to start is in the kitchen, the central meeting place of our home! My kids and husband love all of the décor and enjoy every piece I put out. 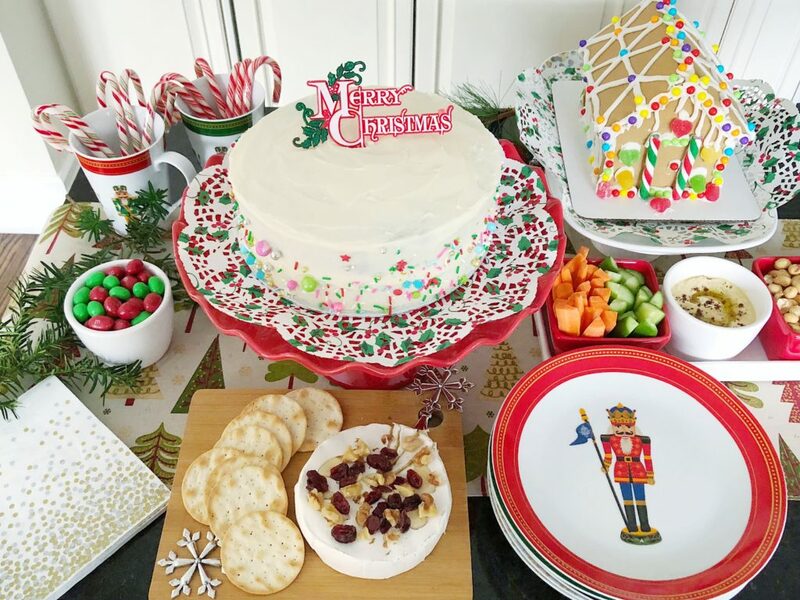 How fun is it to eat off of Christmas plates and to be surrounded by the colours and scenes of the season for a few weeks a year? 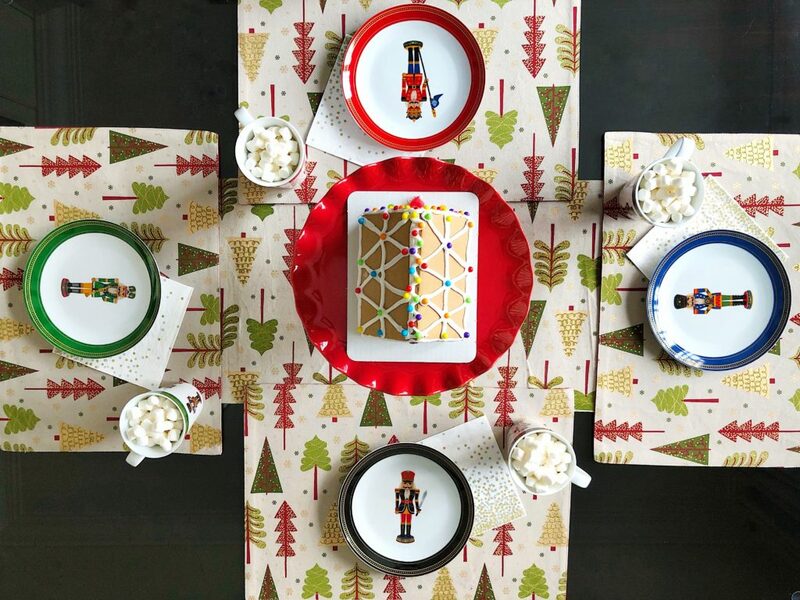 I recently picked up these 7 festive plates and tableware items at Kitchen Stuff Plus and they instantly put my family and kitchen into the holiday spirit. After using mainly plain red placemats, I changed things up this year by going with printed placemats. I chose the Festive Tree pattern because I liked the different coloured trees on the beige background and because they go with the mini-tree decorations I have around the house. Create The Perfect Floral Centerpiece In 7 Easy Steps! I’ve always wanted to learn how to make a beautiful floral arrangement and, this weekend, my wish came true! 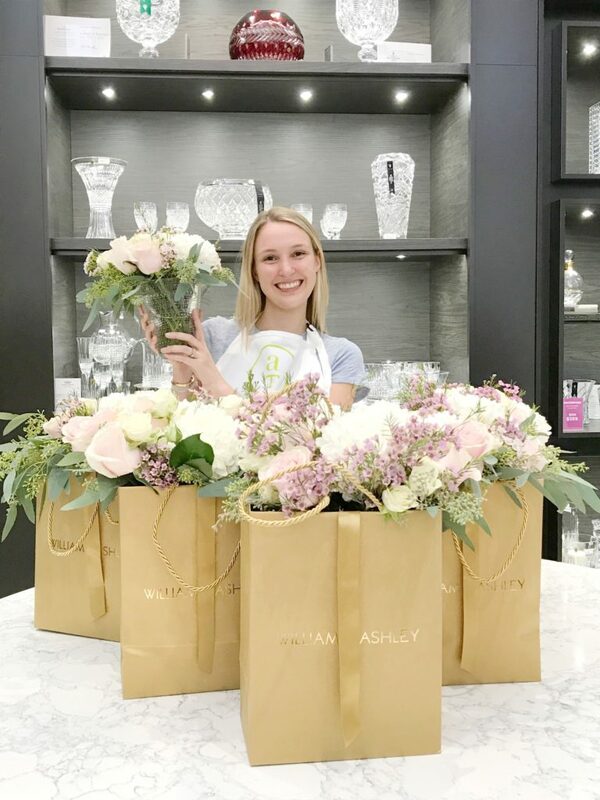 As a blogger, I get invited to events throughout the year, but I knew that the William Ashley Exclusive Floral Event would be special. For one, the setting was the new William Ashley customer experience showroom on Toronto’s Mink Mile. With high ceilings, plenty of natural light, and a tea lounge, the new space was perfect for the Secret Garden affair. The second reason this event was special is that it was hosted by Alice Rossiter Lewis. 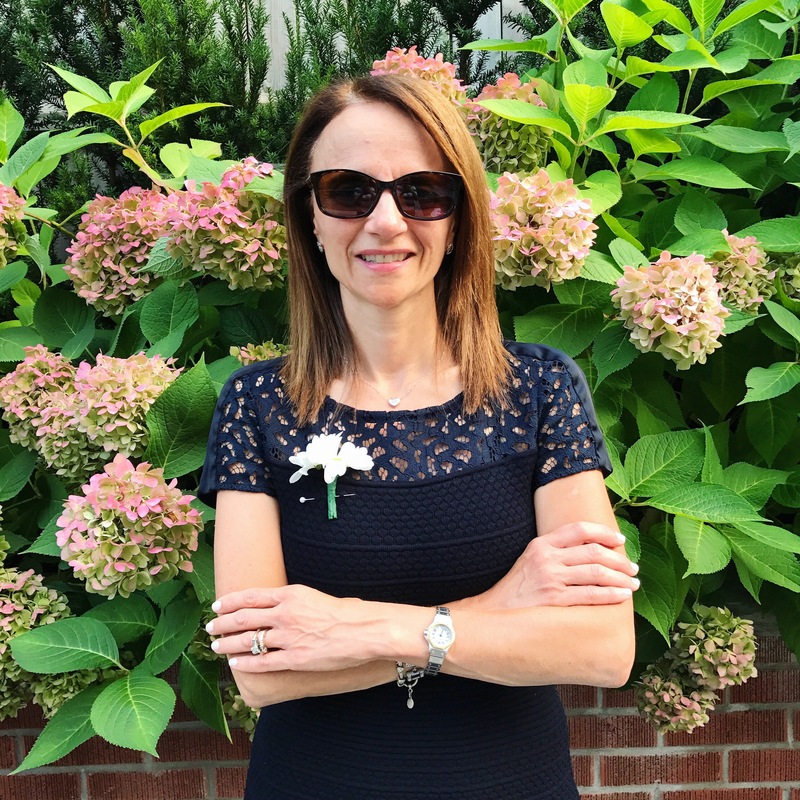 Alice is the founder of Alice’s Table, a Boston-based business that provides starter kits and support to ‘executives’ who in turn run their own floral parties. Earlier this year, she appeared on Shark Tank and left with investments from both Mark Cuban and Sara Blakely. Alice’s energy is contagious, the pace is perfect, and the end result is a gorgeous and fragrant centerpiece. On Saturday afternoon, I rode the escalator to the second floor of William Ashley’s Bloor Street location and walked past the soft teal chairs in the bright and cozy customer lounge. At the long coffee bar, I enjoyed my English Breakfast Tea in Herend’s Royal Garden teacups (the same pattern gifted to the Duke and Duchess of Cambridge) and admired the long table that was set up for our event. What an inspiring spot, amidst crystal vases and tableware, for an afternoon of floral arranging. At each blogger’s place stood a 6 inch Kastehelmi vase made by Iittala, the Finnish design house. The Kastehelmi collection is distinguished by raised droplets, named after the Finnish word for ‘dewdrop’. Oiva Toikka, the designer, cleverly added these droplets to hide joint marks and lines. We put on our aprons and got ready to fill our beautiful vases. As Alice took us through the steps of building our own bouquets, we chatted about each other’s social media accounts and our love for creating content. Bloggers being bloggers, we had our cameras out, taking lots of photos and videos. It’s what we do, and documenting our every move feels most comfortable among fellow bloggers! Our oldest is going off to university the first week of September, and, admittedly, I’ve been a bit of a hot mess over here. 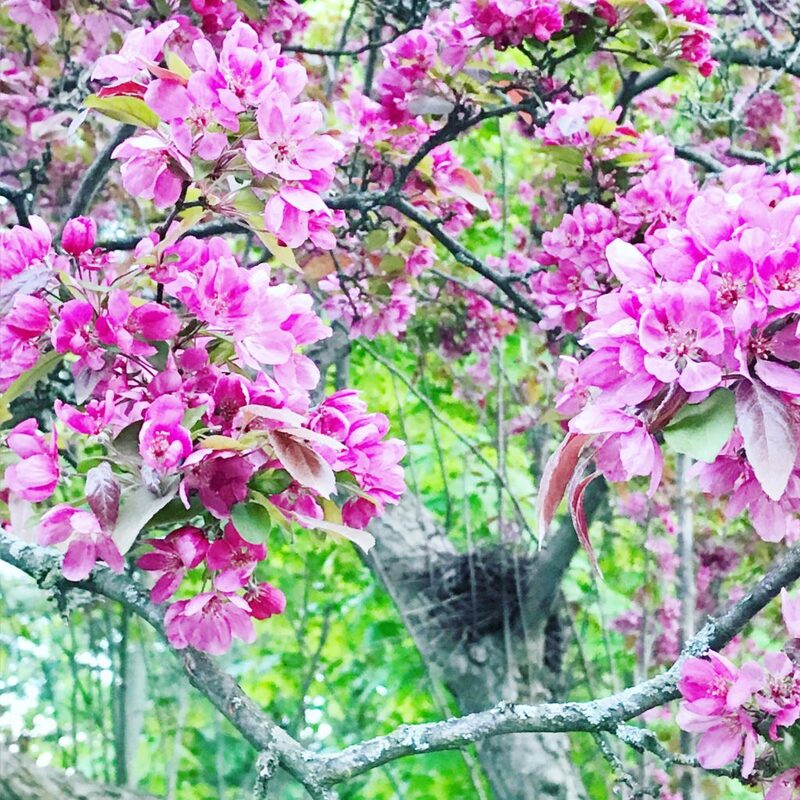 I’m not ready for my daughter to leave the nest. Some days are good, others are not so good. My heart is sad and heavy, but my thinking is more along the lines of ‘it’s going to be okay’. Over the years, I’ve heard many parents talk about their experience, listening intently because I knew my turn would come. It has. 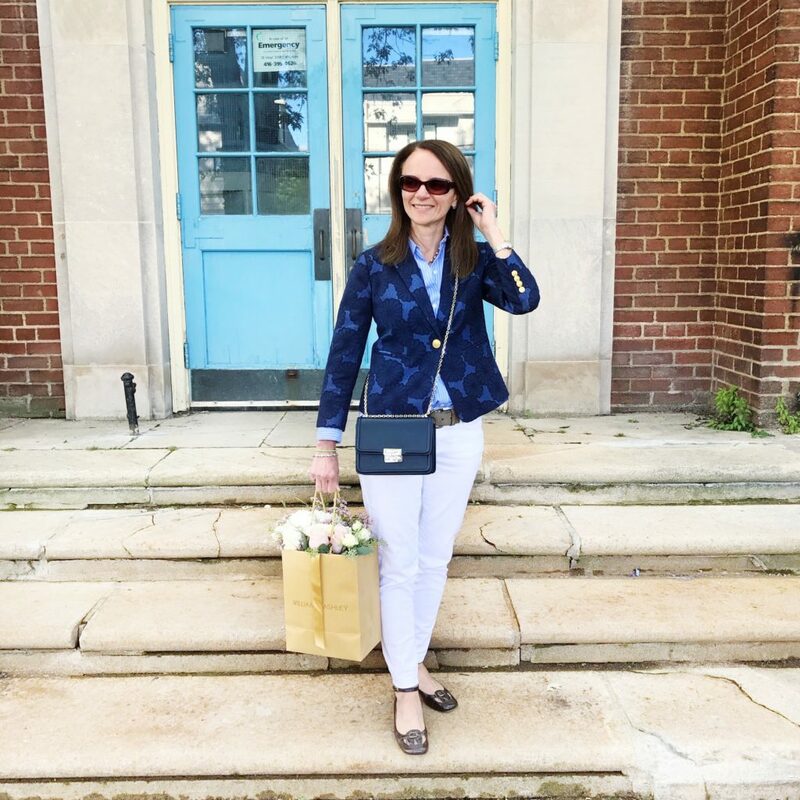 I spent the last months of my daughter’s senior year thinking about missed opportunities of being together, yet also understanding that a teen’s school and social life can take precedence. Sometimes I felt guilty about how I could’ve parented her differently as a kid. And, sometimes I just cried a lot. When we first found out we would be parents, my husband said it best: ‘we’re going to have a visitor for 18 years!’ I was impressed with how insightful he was about raising kids and then letting them go. I’m a bit slower about accepting and understanding my role, but time has been the perfect teacher. 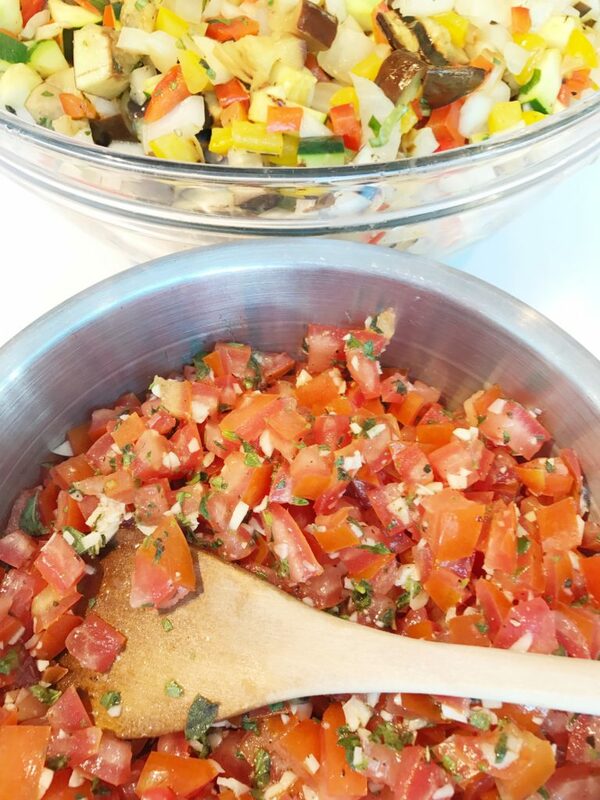 After meal planning and making lunches for many years, my family and I have decided to shake things up for our upcoming back to school and work routines: we’re eating more fruits and vegetables and trying out different food combinations and ingredients. 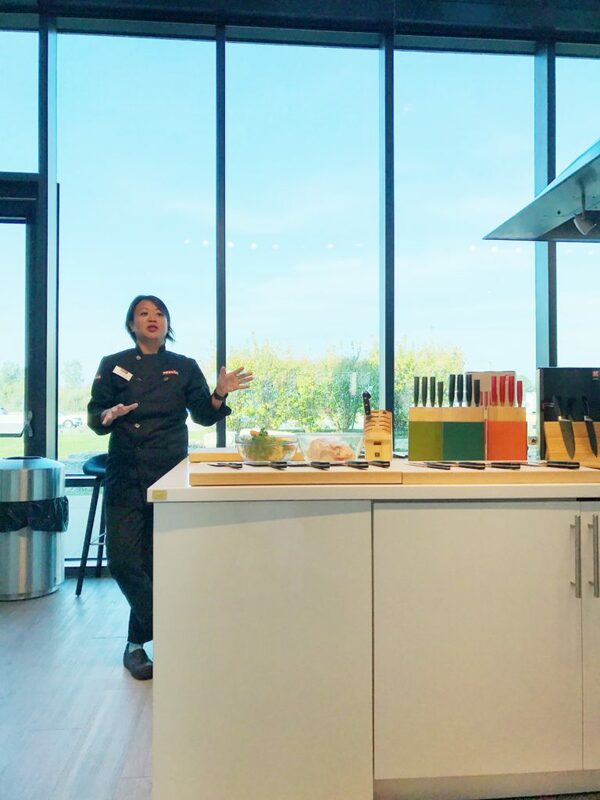 Recently, I sat down with my high school daughter, who prepares and takes lunch every day, and my husband, who brings lunch to work a few times a month, to discuss new and fun ideas. 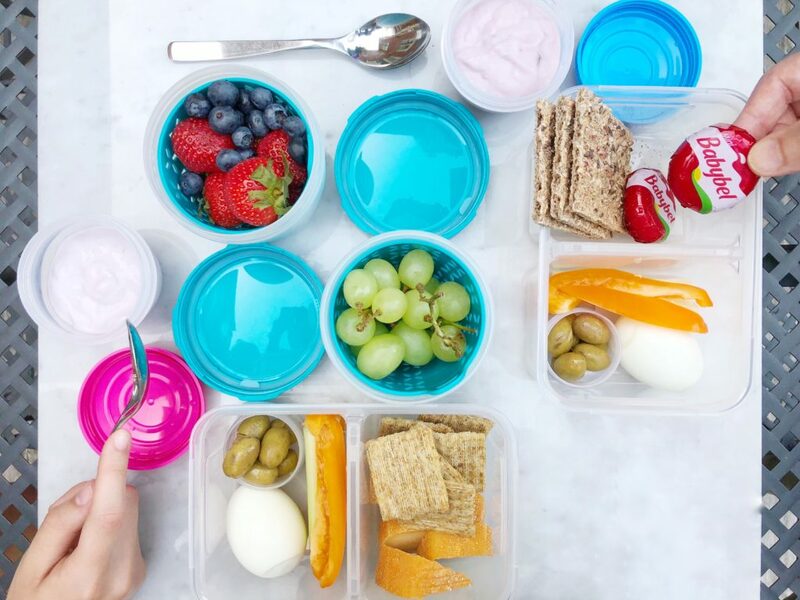 My daughter tested these lunches when she was at her summer day camp job and my husband enjoyed the leftovers from the photo shoot – yup, all the meals got a thumbs up!